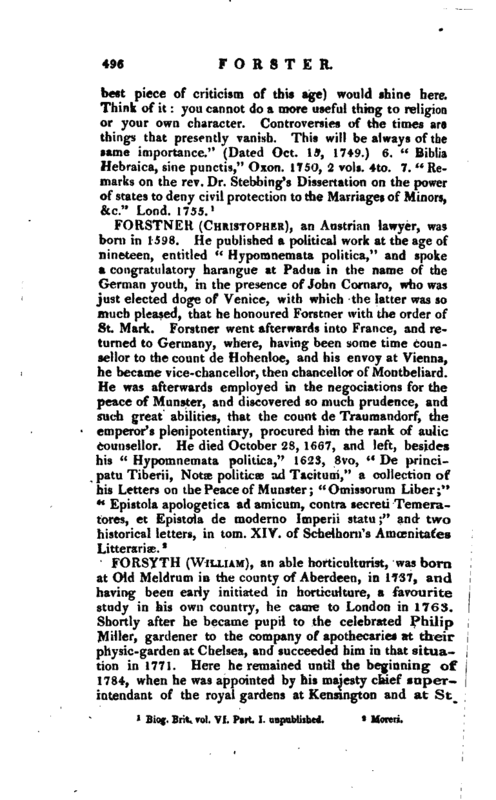 , an able horticulturist, was born at Old Meldrum in the county of Aberdeen, in 1737, and having been early initiated in horticulture, a favourite study in his own country, he came to London in 1763. Shortly after he became pupil to the celebrated Philip Miller, gardener to the company of apothecaries at their physic-garden at Chelsea, and succeeded him in that situation in 1771. Here he remained until the beginning of 1784, when he was appointed by his majesty chief superintendant of the royal gardens at Kensington and at St. | James’s; which employments he held until his death, July 25, 1804. Gent. Mag. 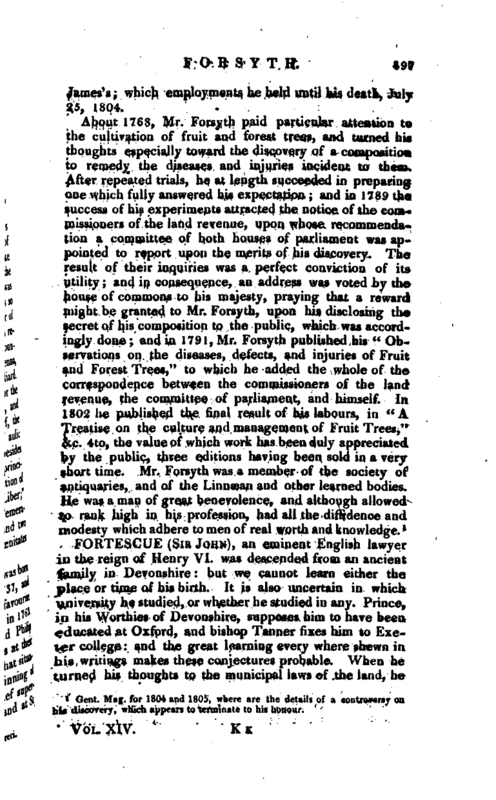 for 1804 and 1805, where are the details of a controversy on his discovery, which appears to terminate to his honour.